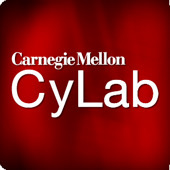 The CyLab Seminar Series is held on Mondays during the school year, at CyLab HQ on the main campus of Carnegie Mellon University (Pittsburgh, PA.) These weekly talks feature the latest research from CyLab faculty and visiting colleagues from other centers of academic research into cyber security and privacy. Occasional Business Risk Forum events introduce the insights of cybersecurity and privacy excerpts from the operational side of business and government. Access to the webcasts of this dynamic Seminar Series is an exclusive benefit of corporate partnership with CyLab. But from time to time, to encourage further research into cybersecurity and privacy, and to contribute to the ongoing dialogue on these vital issues, we release select videos for free public viewing via the CyLab You Channel. Privacy has become a significant concern in modern society as personal information about individuals is increasingly collected, used, and shared, often using digital technologies, by a wide range of organizations. To mitigate privacy concerns, organizations are required to respect privacy laws in regulated sectors (e.g., HIPAA in healthcare, GLBA in financial sector) and to adhere to self-declared privacy policies in self-regulated sectors (e.g., privacy policies of companies such as Google and Facebook in Web services). We investigate the possibility of formalizing and enforcing such practical privacy policies using computational techniques. We formalize privacy policies that prescribe and proscribe flows of personal information as well as those that place restrictions on the purposes for which a governed entity may use personal information. Recognizing that traditional preventive access control and information flow control mechanisms are inadequate for enforcing such privacy policies, we develop principled audit and accountability mechanisms with provable properties that seek to encourage policy-compliant behavior by detecting policy violations, assigning blame and punishing violators. We apply these techniques to several US privacy laws and organizational privacy policies, in particular, producing the first complete logical specification and audit of all disclosure-related clauses of the HIPAA Privacy Rule. For more information on the work of CyLab researcher Anupam Datta. For more information on the CyLab corporate partnership program.